Participant : All UNIST community. The completion ceremony of the 2nd phase of construction takes place on October 18, 2016. 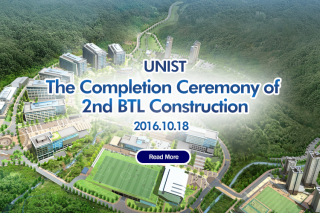 UNIST will open the doors of its new buildings to local government officials during the ceremony.